If you are not a billionaire or mid-tier millionaire, please skip to the story about Evan Rachel Wood carrying around demon-repellant, as this only concerns the extremely rich who wouldn’t mind throwing at least ten million dollars to charity sometime in the near future. Hello, fabulously wealthy person! My name is Bobby Finger, and it has recently come to my attention that Leonardo DiCaprio will be auctioning off a private dinner with himself and Kate Winslet to the highest bidder at his annual charity auction/gala in St. Tropez. 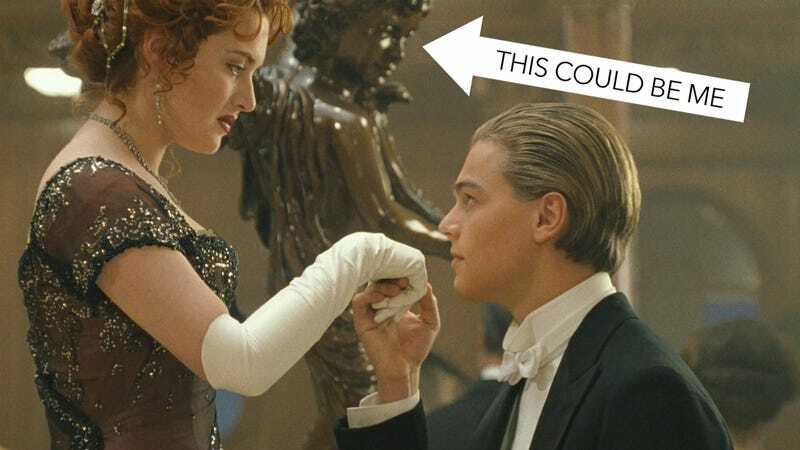 I’d just need one (1) round trip plane ticket to France that leaves within the next 24 hours (the gala is tomorrow night), a considerable per diem (in order to pull a Jack Dawson and blend in with everyone else), and carte blanche to bid whatever it takes to secure dinner with the most important couple in movie history. While there’s a good chance you may be out several million dollars by the time I’m done bidding, E! Online (every billionaire’s favorite news source) reports the Leonardo DiCaprio Foundation “has allocated more than $80 million in grants to environmental causes since 2010,” so your money would be going to a great cause. Anyway, think about it! And hit me up at bobby@jezebel.com. Here’s to making it count.